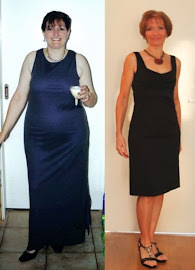 FitBody Fifty: You are the weakest link - Goodbye! I don't think I have a specific allergy, although wheat makes me dog tired. This is good at night but beyond bad at lunchtime. So, I eat it rarely. I think it's good to do an elimination now and then, just to give your guts a rest and a chance to repair any self-inflicted damage. Plus, mentally, it resets you and give a blast of energy. So, I'm in for an elimination diet. We can do it TOGETHER. I'm already cutting back the caffeine. I'm sure most of my most awesome symptoms were due to that. Come to think of it, maybe I overdid the coffee last week...caffeine withdrawal could be the culprit. Or one of them, anyway . I think an elimination diet buddy would be a good idea. Let's do it! It's a matter of working out which ones of these you can have some, none or lots of. It tends to be different for everyone. Happy to chat to you further about it if you like. I've read a bit about the FODMAPS thing, Amanda... might have to do a bit more reading on it. I suffered for a couple of years from terrible stomach pains and cramps, I'd get an "episode" every couple of months or so. Had all the tests under the sun, and in the end they diagnosed me with IBS (which I've since read is doctors code for "We dont know"). In the end I figured it out myself that I was having bad allergic reactions to artificial sweeteners. Stopped the sweeteners, and havent had an attack for 5 years. Its frustrating when you're trying to figure it out though, I thought it was so many different things! Good luck, hope the elimination diet works! Yep, artificial sweeteners are a common cause of gut issues, Hilary. I'm very choosy about which ones I use and how often because I suffer from "those" problems too. The issues with artificial sweeteners and home cooking might point to FODMAPs issues too. Those -ol ending things are in some vegies.....like mushrooms! They also stick inulin in yoghurt to make you feel fuller longer...and give me gas! o_O. If you have a look at the list on that webpage, I have issues with fructans and some polyols. I have issues if I have too much fructose in combination with other things too. I have a book with a specific elimination plan in it if you want to give it a go? Can't hurt...much :) It's a bit different to the usual one, so you can test for each FODMAP. Let me know if you'd like me to send you an extract...for research and education purposes of course. I'm interested, Amanda.... I'm pretty sure yoghurt isn't my problem, because mine contains nothing but milk, cream (!) and live cultures. Thank goodness for that, because I'm not giving up my yoghurt for ANYTHING.